If you were injured at Hialeah Park Racing and Casino, then you should seek the advice and counsel from the best Hialeah accident attorney you can locate. We invite you to call the Hialeah personal injury lawyers at the Wolfson Law Firm with your questions. We offer free consultations and never charge a fee unless we recover compensation for you. Call us now at (305) 285-1115 and let’s get to work on your claim against Hialeah Park Racing and Casino. Hialeah Park Race Track is part of the US National Register of Historic Places. It was named to the register in March of 1979. It is one of the oldest recreational places in South Florida. It was opened in 1922 by aviator Glenn Curtis and his partner James Bright. It started as a greyhound race track in the same year, but in 1925 the first ever horse race was held there. The race tracks were made with intention to help in Hialeah development. The race track suffered heavily in a hurricane in 1926. It was reopened again in 1932, when it was considered one of the most beautiful racetracks in the world. It ran with no problems until 2001, when changes in legislation made them stop hosting races. They reopened the track in 2009. Throughout its history, Hialeah Park has hosted some famous names in horse racing, such as Seabiscuit, Seattle Slew, Nashua, Citation, and John Henry. World leaders, including US Presidents Harry Truman and John F Kennedy, British Prime Minister Winston Churchill, and Princess Grace of Monaco, have seen many of their races. The casino was opened in 2013. The Hialeah Park Casino has 850 slot machines and 33 poker tables. Unusually, for casinos, it has windows. They look over the horse racetrack, park and fountains. Next to the casino are few lounge bars, cafes, and restaurants. They welcome guests every day, but host weddings as well. Hialeah Racing Park and Casino may very well be responsible for personal injuries that occurred on the premises under their control. If you or your loved ones have suffered after an accident on the racing course stands, casino premises, parking lots, or restaurants and bars, chances are that they can be liable to pay for your harms and losses. To be sure about it, contact a Miami casino accident lawyer to explain to you if your case qualifies for damages recovery and how to get a just compensation. Hialeah Park Racing and Casino are held responsible for the safety of its guests under Florida premises liability laws. According to laws, rules, and regulations a property owner owes its invitees duty of care. They should take all the reasonable measures to prevent injuries and damages at Hialeah Race Park and Casino. If you suffer an injury there due to wrongful act of negligence by the Hialeah Park Racing Park and Casino, they can be held accountable for the accident and may have to pay all your accident-related expenses. 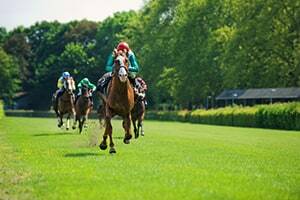 If you or a loved one were injured at Hialeah Park Racing and Casino, then you should speak with best Hialeah personal injury lawyer you can find. At the Wolfson Law Firm, our Hialeah injury attorneys have helped injured folks in South Florida since 1963 and they are ready to help you too. Call our bilingual personal injury team for your free consultation at (305) 285-1115 and let us answer your questions so you can begin your journey to get the compensation and justice you deserve.